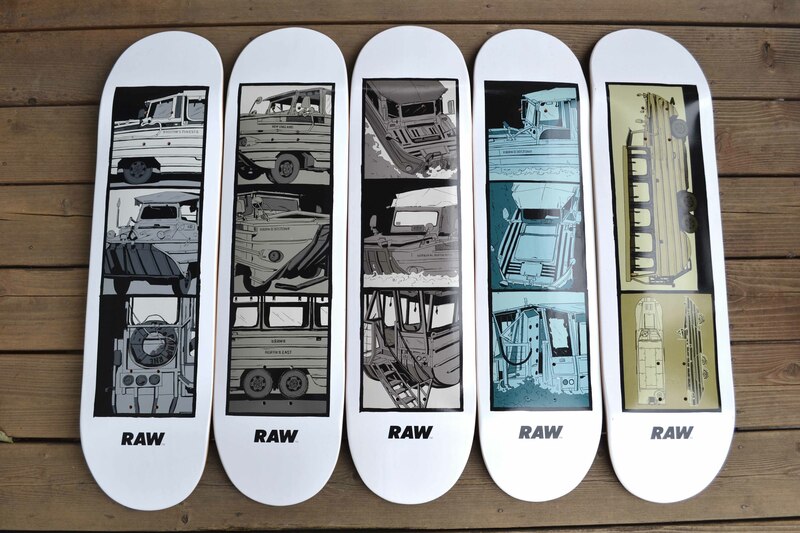 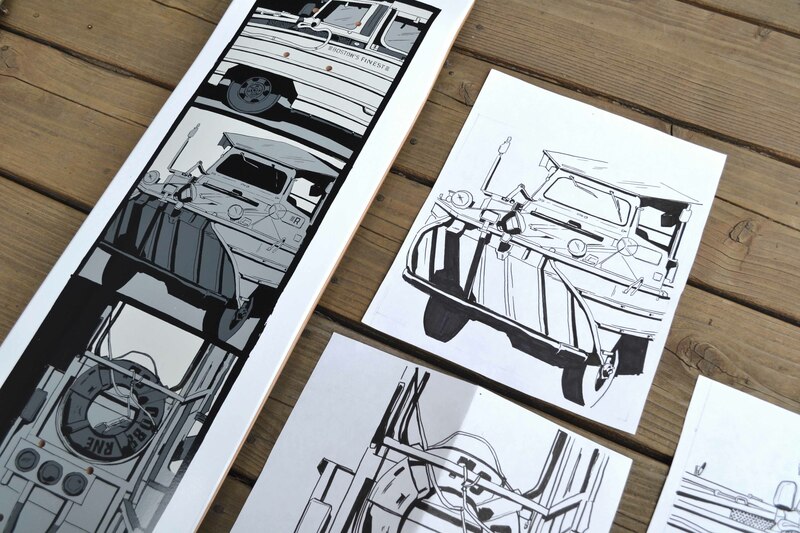 The DUKW series, inspired by Boston's amphibious WWII-era duck boats, and a few others from back in the day. 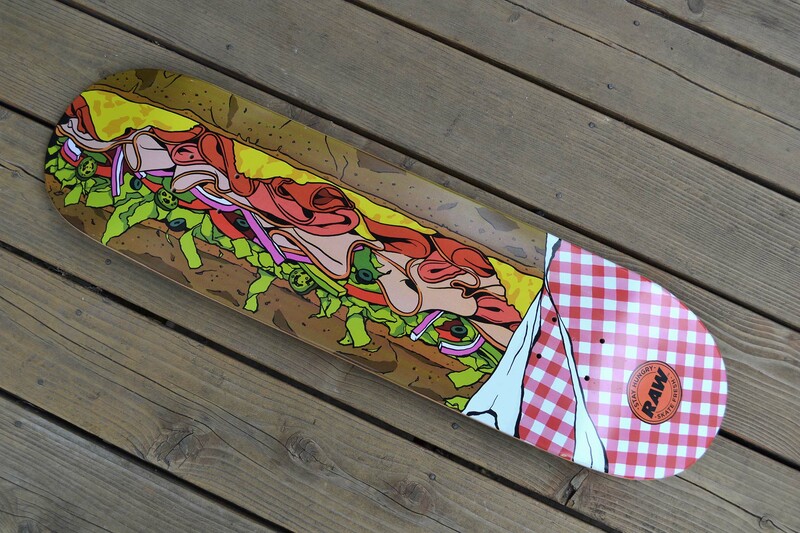 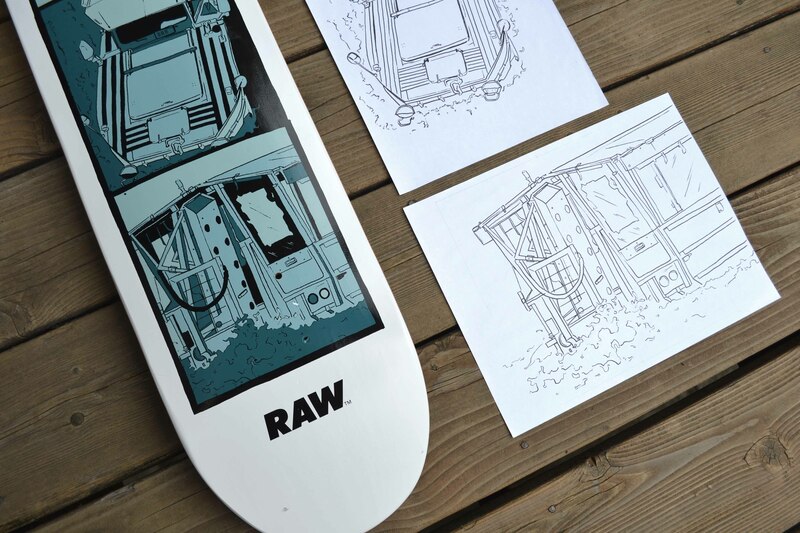 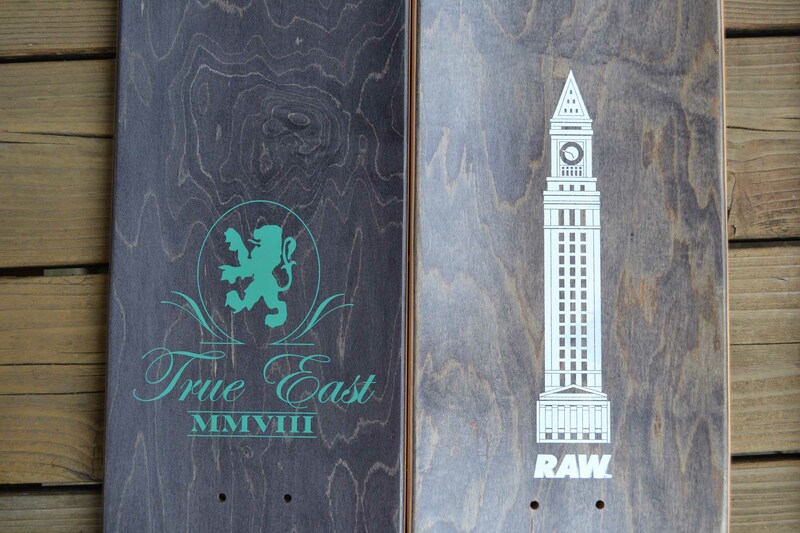 That True East topsheet was the first graphic I ever did that made it onto a skateboard, back in 2008 when I was working at the shop. 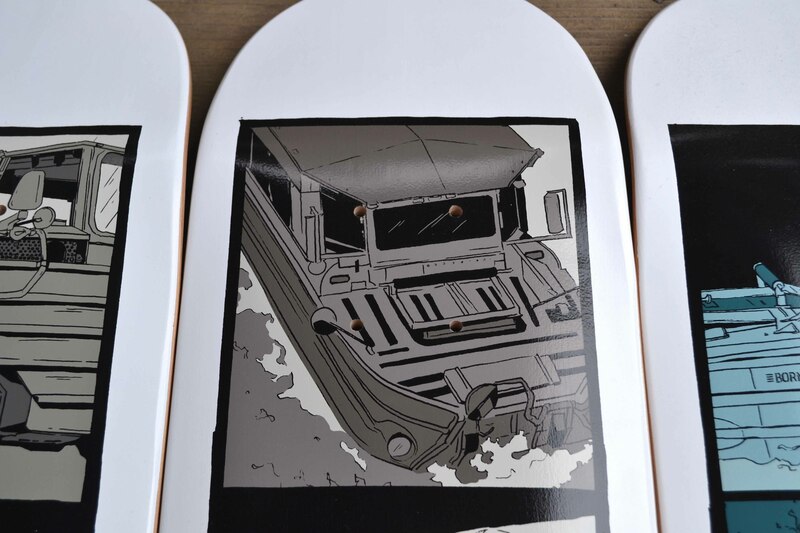 I was thoroughly hyped -- my childhood dream come true!